MATTEO라는 연주집단이 중국의 전통악기 등을 동원하여 This Must Be The Place (Naive Melody)를 리메이크했다. Kyle Hollingsworth라는 가수가 Talking Heads의 히트곡 “This Must Be The Place (Naive Melody)”를 리메이크했다. 그런데 특이하게도 가수의 보컬만으로 채워진 아카펠라로 리메이크했다. 다시 말해 이 트랙에서의 모든 것들은 목소리로 부르거나 연주된 것들이다. 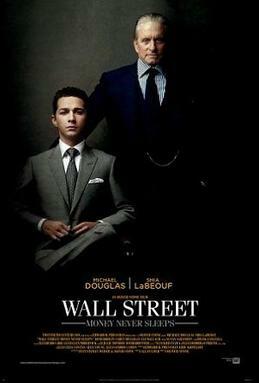 “Wall Street- Money Never Sleeps film” by http://www.impawards.com/2010/wall_street_money_never_sleeps.html. Licensed under Fair use via Wikipedia. Business Insider에 따르면 The Wall Street 속편 사운드트랙에 Brian Eno와 David Byrne, 그리고 Talking Heads의 곡이 대거 포함되어 있다고 한다. 총 12개의 트랙 중에서 Eno와 Byrne의 곡들은 다섯 곡이다. 이 중에는 Talking Heads의 “This Must Be the Place (Naive Melody)”도 포함되어 있다.